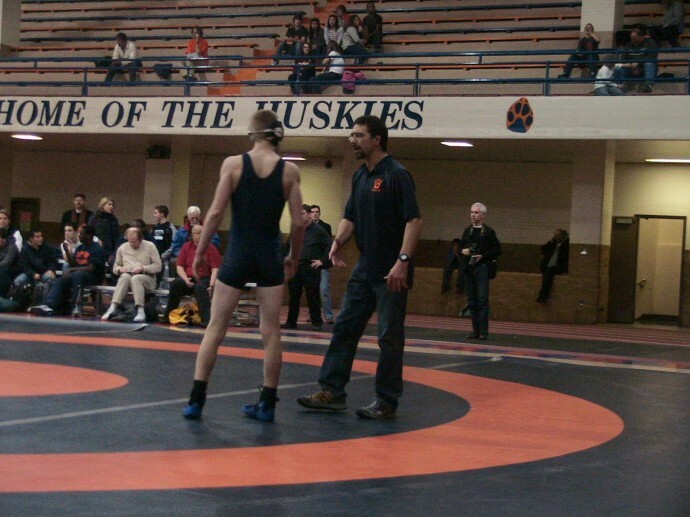 Colin has been doing well so far this season, 6-2; had some tough matches, won most, lost a few. I saw them all. And I was screaming like a maniac at every win. I like to win. I like my sons to win. Of course it isn't everything. But it's pretty nice when it happens, and you win the medal, the prize, the award, the hand in the air. If it wasn't so universally appealing, we wouldn't watch Donald Trump's "Apprentice" or even the Olympics on TV. I try not to be an obnoxious winner and I sure try not to be a bad loser. Unlike some parents who smack talk in the stands or make remarks about your son or your team, I try to keep it all civil. I just can't keep quiet; I scream Colin's name a lot. 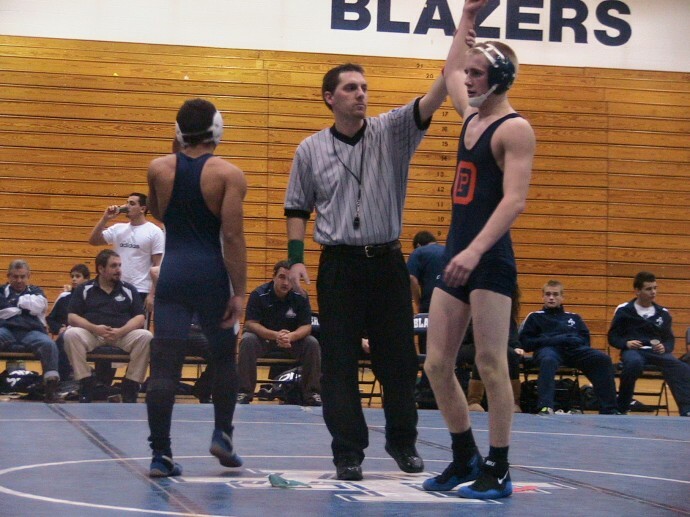 All of my sons have had moments of victory in wrestling and in life and I know how it fills them up. I see the transformation. How they look after a win is as if they have been filled with helium or the wattage in the lightbulb just increased; they look like themselves, only lighter and brighter and more full of their potential. Everything is possible. We all want those moments of shining glory for the people we love more than air. We want those moments for ourselves. It may seem shallow, but I admit it. It feels way better driving home following a victory than it does following a spanking-- or shall I quote Obama here-- a shellacking. When it is about me, mostly I talk to myself after a loss, whether it is professionally or personally. I try to discern the reasons why, what I could have done differently and what I could not control. I find it easier to absorb disappointment when I plan my next move immediately, then when I have to admit I could not have changed the outcome and have to stay in my failure for a while. I have had a fair share of failures, big and small, and I know I am supposed to say I am a better person for all of it, but frankly, you could keep some of the heartache and the lessons. I would have rather won. I guess I have not mastered humility. Coach Powell is right there with each one of the boys whether he wins or loses. Sometimes his reactions surprise me. He is sure to congratulate the wrestler, but he goes right away head first into what he could have done better. Colin is becoming a better man because of him. And oh my, it is absolutely amazing to watch. Ms Michele- I especially love this piece. I know that it’s been hard for you these last few days. Please know that your hand is in the air. Excellent goods from you, man. I have understand your stuff previous to and you’re just too excellent. I really like what you’ve acquired here, certainly like what you’re saying and the way in which you say it. You make it entertaining and you still take care of to keep it smart. I can’t wait to read much more from you. This is actually a wonderful site.